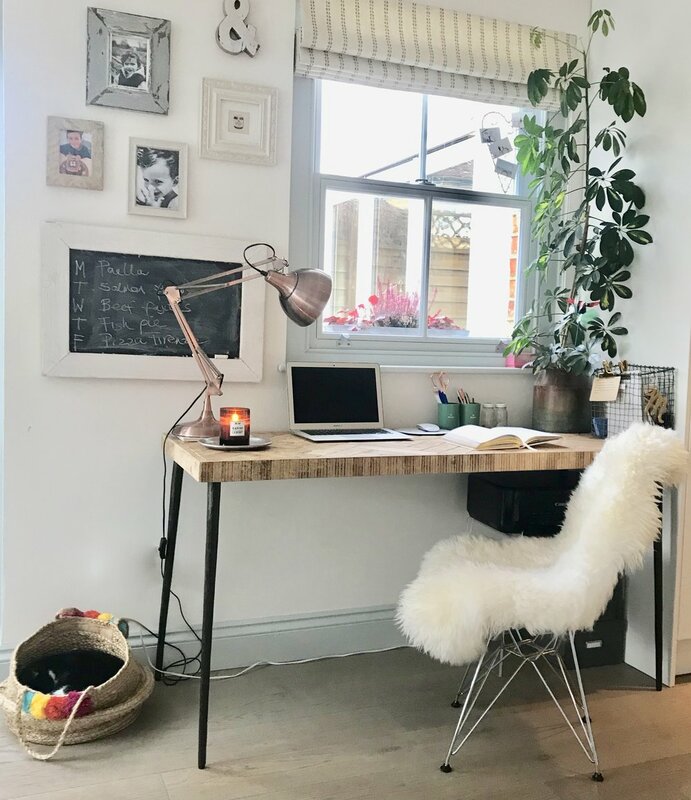 An Eames chair plus an ivory sheepskin make the perfect pair; when the chair’s iconic design meets the cosy comfort of pure soft wool it creates a very aesthetically pleasing match! This works well any time of year but looks especially effective around a Christmas table setting. You can also style up your office space with this little combo. We are loving the new coloured sheepskins that are now making their way onto the market, and a double length one is the perfect size to throw over the end of your bed creating a wonderful layering effect, with the added benefit of keeping your toes warm all night long. We particularly love the soft blush colour, as pictured here. 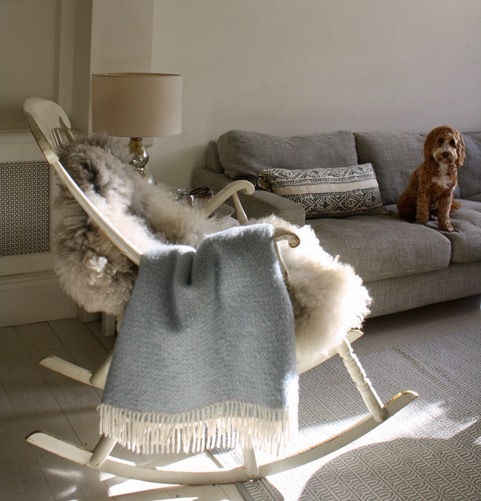 A sheepskin looks wonderful against painted wood for a nordic-vintage feel, for example throw over a rocking chair in a living room or children’s nursery. It also works beautifully over a leather armchair, breaking up the colour of the leather but keeping a natural and organic look. A double sheepskin run along a bench softens the angular corners of the wood and finishes the piece perfectly. 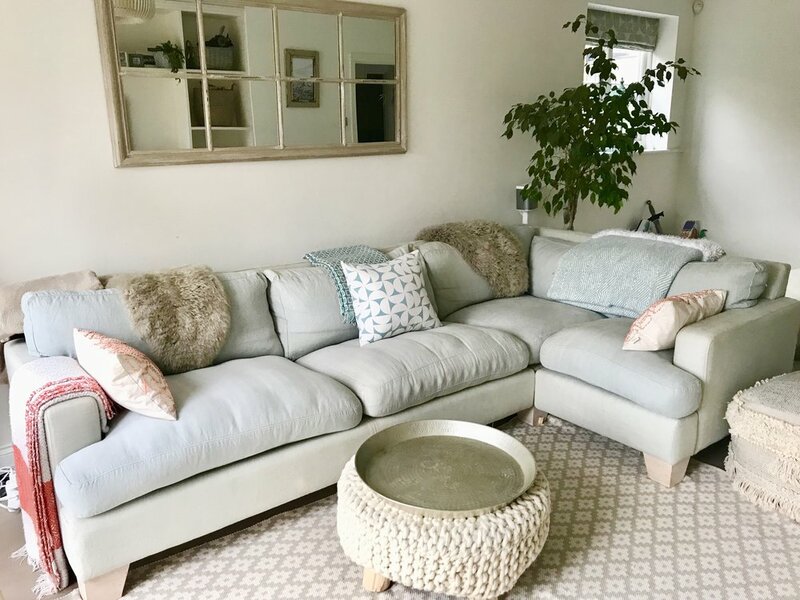 Sheepskins are also great sofa protecters and are ideal for dressing the arm rests or backs of sofas in family room as they wash so well, so no need to stress when the kids eat their snacks in front of the TV like they do in my house! 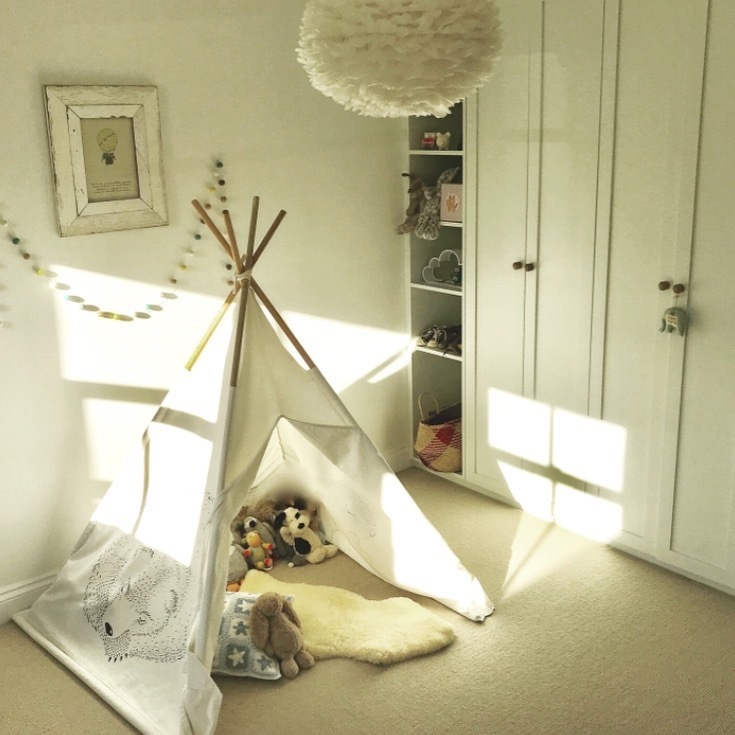 Sheepskins bring a wonderful softness to a children’s room when run along the floor in front of a cot, bed or chest of drawers. 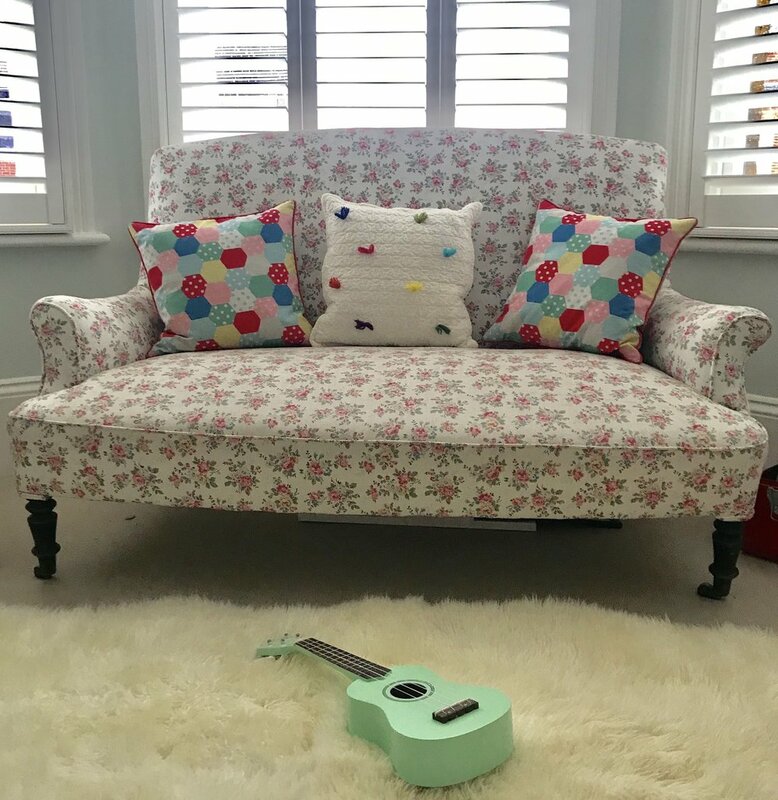 They are the perfect place for babies to lie, sit and dribble, and even sleep (I used to put mine in the Moses basket when my children were little, but they also work brilliantly in a pastel nursery or bedroom scheme). As children grown they also help to mark out a little zone in a room for sitting and playing or reading. 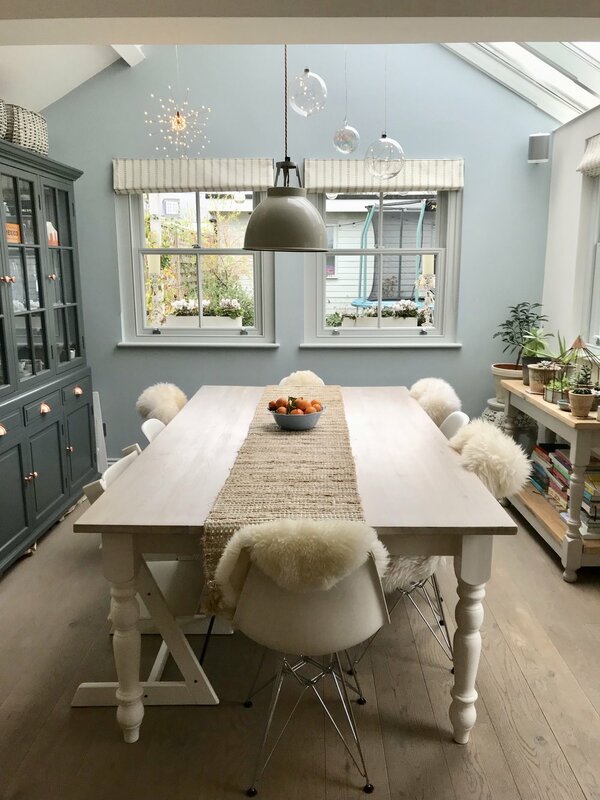 We hope this has given you some easy ideas to take away and styles to recreate in your own home with our favourite, cosy sheepskins.